Although Trentino Alto Adige is famous for its soaring, snow-capped mountains and super-accessorized ski slopes, in reality, this region in the far north of Italy, bordering both Austria and Switzerland, is an excellent all-year-round holiday destination, home to immense national parks, fascinating art cities, enchanting little villages and magnificent historic residences, such as Relais Palazzo Lodron. 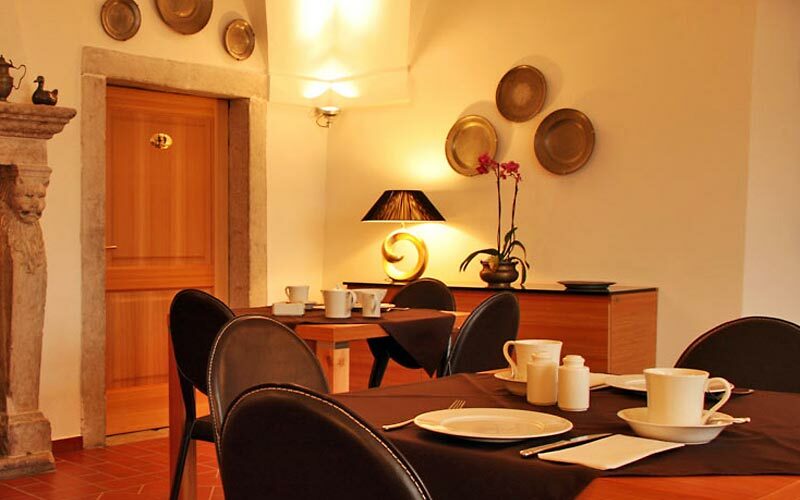 This striking edifice, situated in the tiny town of Nogardo and still owned by members of the noble Lodron family, dates back to the 16th century and has only recently been transformed into an exclusive hotel. 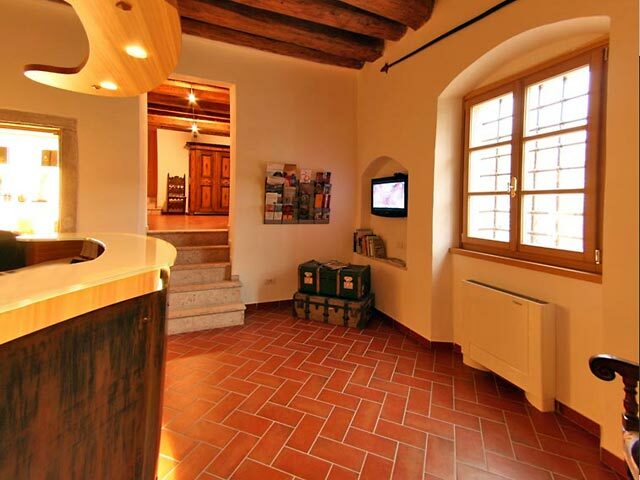 Surrounded by the vineyards of Vallagarina, Relais Palazzo Lodron perfectly conserves the centuries-old charm of the historic residence whilst providing today's guests with every modern convenience. 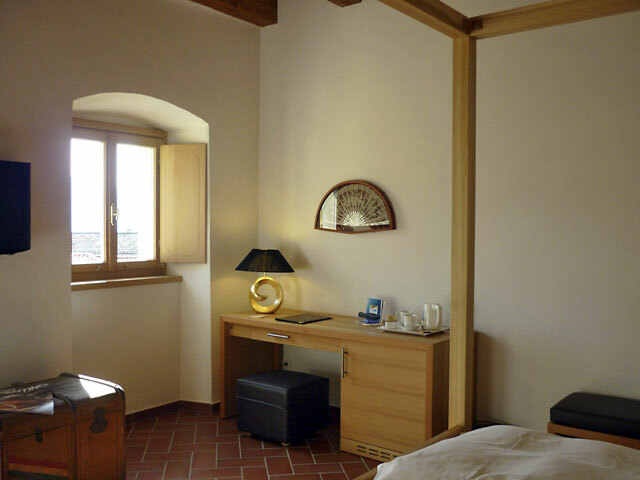 Decorated with a sophisticated combination of contemporary furnishings and family antiques, Palazzo Lodron's bedrooms and suites are both pleasingly functional and quietly luxurious. Impressive cross vaulted ceilings and a magnificent stone fireplace characterize the hall which once served as court room and now functions as the hotel's elegant breakfast room. In the summer season, guests are welcome to enjoy the rich buffet of local specialties "al fresco" in the garden. 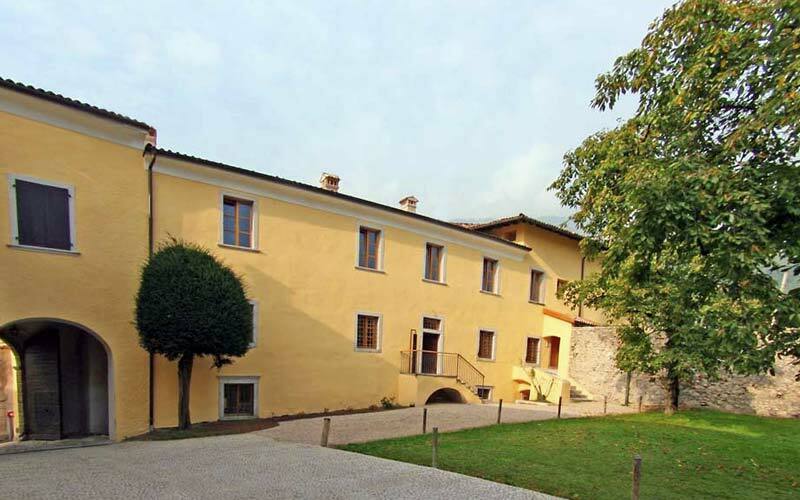 Palazzo Lodron's cellar provides the enchanting setting for tastings of the typical wines of Vallagarina, such as the highly prized Marzemino, accompanied by a selection of the region's cheeses and cold cuts. 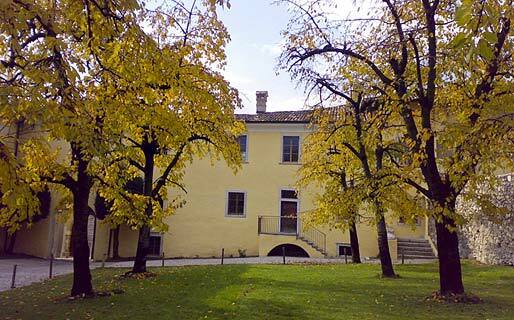 Guests staying at Relais Palazzo Lodron have every opportunity to experience life in the peaceful little town of Nogaredo, located almost exactly halfway between Lake Garda and the Dolomiti mountains, and to relax in the extensive grounds of the hotel, walking through the vineyards and cherry orchard. 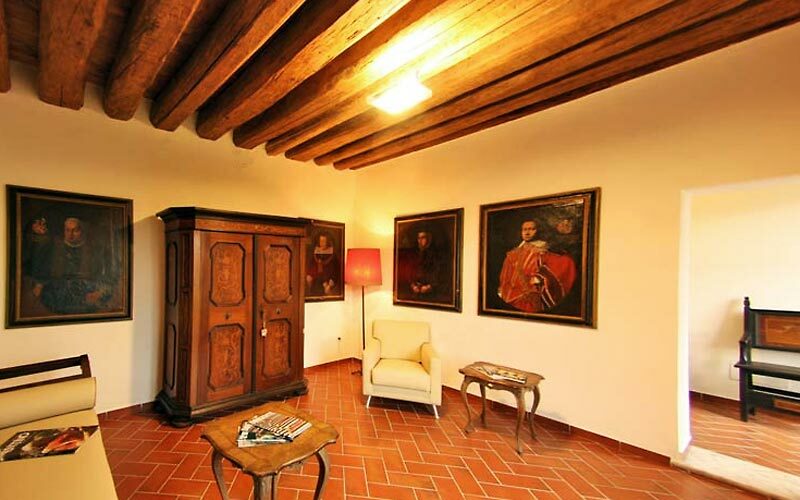 Relais Palazzo Lodron also has a small function room, suitable for board meetings and conferences for up to 20 people. The halls and gardens provide elegant indoor and outdoor venues for glamorous banquets and wedding receptions. In the last 30 days 8 people have visited this page. 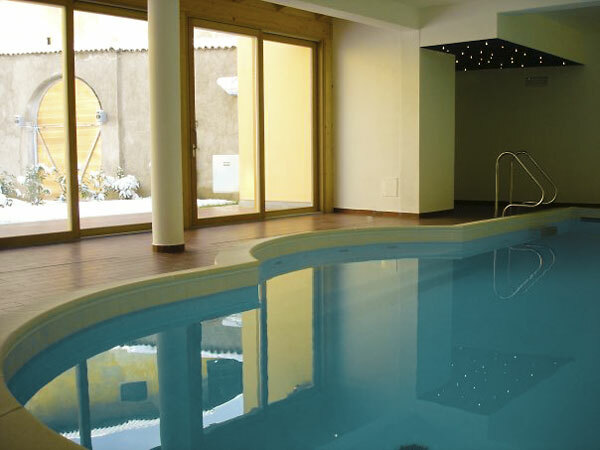 Hotel Relais Palazzo Lodron is located in the small town of Nogaredo, in the heart of Vallagarina. 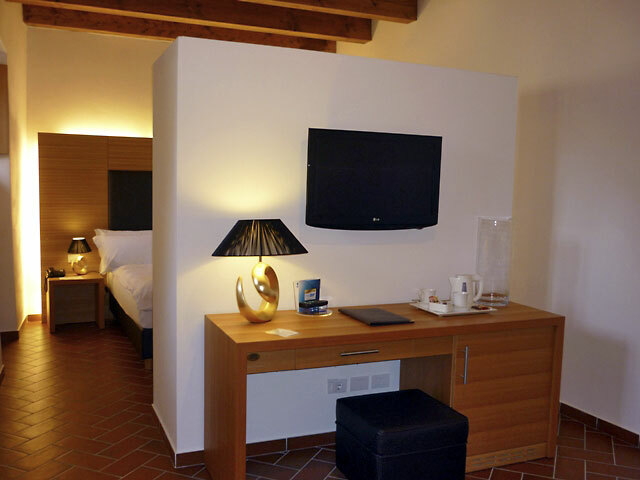 Situated half way between the provincial capital Trento and Lake Garda, the hotel lies within easy driving distance of Rovereto and the city's MART museum of contemporary art, and the ski resort of Folgaria.